Gary Paulsen, author of several books of high adventure and survival--including the Newbery Honor winners Dogsong, Hatchet, and The Winter Room--this time brings readers a science fiction tale reminiscent of Planet of the Apes. The Transall Saga follows 13-year-old Mark on his first solo desert camping trip. After stepping into a mysterious beam of light, Mark is transported to another place--a strange and hostile world. As Mark tries to find his way back home, he learns to survive in this dangerous jungle, calling on reserves of strength he didn't know he had. Encountering wild creatures, primitive tribes, and a more advanced and warlike group of humans, the young protagonist is forced to grow up before he can return to the life he once knew. In the process, he becomes a slave, a warrior, and falls in love--all before the mystery of exactly where he is becomes clear. 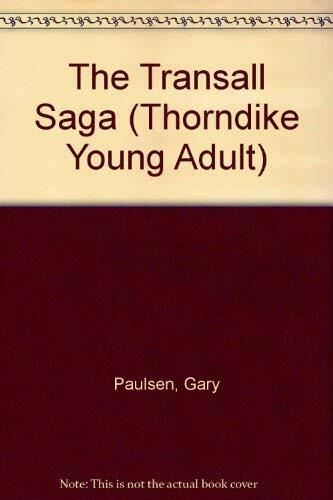 Gary Paulsen, bestselling author of Brian's Winter, brings us a new dimension in adventure with The Transall Saga. * "[A] world of rare charm, a captivating, well-realized realm, where fantastical elements force the protagonist to discover and employ the greatest strengths of his humanity."